Scientists are on the hunt for glass frogs similar to this in the Choco region of Columbia. Image: Shutterstock. An expedition to Columbia to search for lost frogs has located three new species instead. Frogs are important for human well-being, as they consume insects that transport diseases, regulate the nutrient cycle between the aquatic and terrestrial ecosystems and are providing valuable insights into new medicines. But the International Union for the Conservation of Nature believes that one third of amphibian species are facing extinction from climate change, habitat loss and the chytrid fungus which has decimated amphibian populations worldwide, including some in New South Wales. 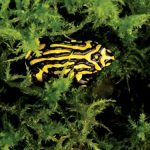 Conservation International (CI) has recently launched the Search for Lost Frogs- an attempt to search for species that have not been seen for over 10 years. 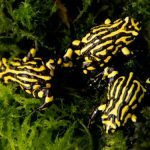 The project involves both local and international amphibian experts and aims to expand both scientific and public knowledge about the risks to the amphibians. As part of this project, CI Amphibian Conservation Officer Robin Moore led a seven-person team to the Choco region in western Columbia in early October to search for four missing species. The team was particularly interested in finding the Mesopotamian beaked toad (Rhinella rostrata) – a species which is only known to exist from two individuals found in 1914. The team was unsuccessful at finding any members of the lost species, which is believed to be symptomatic of the global decline of the frog population. There is also little data about the behaviour and habitat of these species, as they have only been sighted a few times since their discovery. 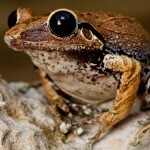 However, they are now hopeful that previously unexplored areas of forest may be hosting new species. Regions such as Choco have previously been inaccessible due to the presence of violent guerrilla groups, but these have now moved to lower elevations. The lack of development has also protected the biodiversity of the region. 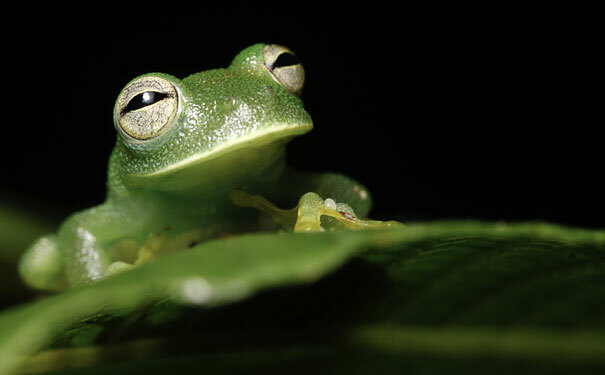 The expedition discovered three new species of glass frogs (Centrolene sp. ), which are highly sensitive to environmental changes and provide a good indication of the health of the ecosystem. 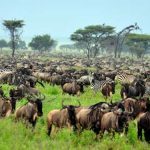 The researchers plan to return to the region next year to search for lost and new species.